There seem to be two types of people when it comes to cars– those who like to get a new one every two or three years (usually leasing them) and those who like to drive ‘em ‘til they’re worn out (12-15 years or more). 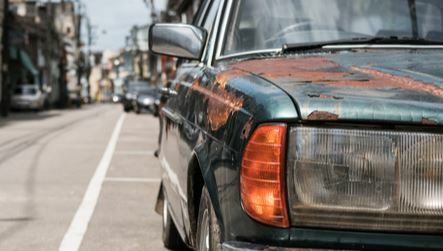 For those who drive cars until they become “clunkers,” here’s some advice: when the car is on its last legs, consider taking it to the salvage yard. Is the bottom of your car rusted out? Are several things wrong with it, such as doors not opening properly, tires getting bald, and/or systems failing on it? If your car is almost undriveable and/or “getting there” to the point where it’s just going to sit in the driveway or yard taking up space, why not turn it into money? A salvage yard pays instant cash on the spot for junk cars. Rather than try to sell it yourself, and/or have to wait for someone’s check to clear, you can get rid of a car fast, for cash, at a salvage yard. Salvage yards are good for the environment because they take care of the chemicals in your car so they don’t end up leaking all over the ground over time. They also have the ability to take the old parts, fix them up (if needed), and re-sell them so others can use them. In some cases, the metal frame can be crushed and then melted down, to be used for other purposes. Finally, it’s important to consider that junkers don’t belong on the road because they’re not safe. Do you want to get into an accident because your car won’t work right? Think of yourself and other drivers– we all have a responsibility to drive well-maintained cars on the road that are in decent working condition. 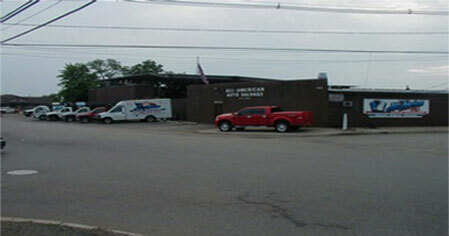 All American Auto Salvage is one of the top service-oriented auto salvage yards in the tri-state area. New Yorkers often drive to New Jersey just because of our company’s reputation and location– we dismantle over 1000 late model cars and trucks annually, and we are conveniently located in north central New Jersey. Do you have questions and/or a car to get rid of? Contact us today at 732-574-1945.